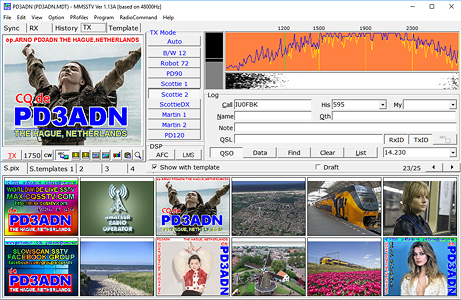 The SSTV SlowScan images on this website are uploaded automatically. Responsibility rests entirely at the station transmitting these pictures! 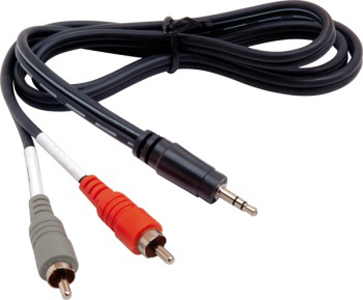 Connect the radio with an audio cable to the PC audio-in and install & run the progam RX-SSTV on the PC. Connect the transceiver (with internal cat/audio interface) to the PC. 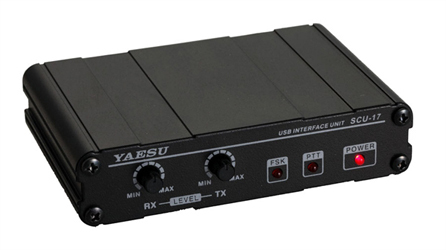 Connect the transceiver thru an cat/audio interface (for Yeasu for example the SCU-17, or use an own build interface) to the PC. Make an picture with text in mmSSTV and send it to the transceiver (with internal CAT/Audio interface). The CAT interface will activate the PTT. Make an picture with text in mmSSTV and send it to the transceiver over the CAT/Audio interface. The CAT interface will activate the PTT. Next wait for reply or check our live worldwide pages (http://max.cqsstv.com) if your transmitted image has been received by someone! 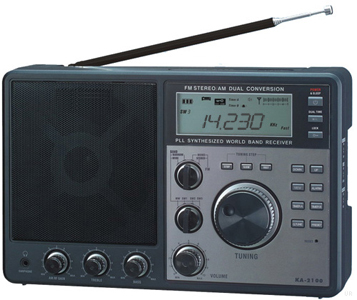 The most used freq internationally for SSTV is 20m, 14.230 MHz, locally that is 2m, 144.500 MHz. Except for 11m it are all legal HAM radio frequencies. On 11m are pirate stations active! 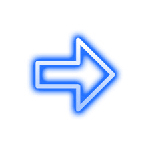 Read also: How to upload received SSTV images to the internet.